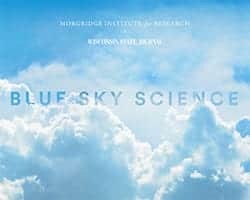 News & Stories > Blue Sky Science > Why can people eat the same diet or take the same medication and have different outcomes? Why can people eat the same diet or take the same medication and have different outcomes? Much like how people have different colored hair, differences in DNA lead to slight differences in the way molecular machines work or in what they build. That means even if we all have hair, it’s not all the same. Differences in metabolism are a little trickier and not quite as obvious. This is partly because they can happen at so many different stages all throughout the body. Any difference in the way that the body degrades, absorbs or recycles nutrients will make one person’s metabolism different from someone else’s. These different versions will change the outcome. They’ll change how food is broken down, or how nutrients are re-distributed and absorbed. They might change how those nutrients are turned into chemical energy. Since our body essentially depends on different fuels, your diet can affect your metabolism, and exercise also has a huge effect on metabolic rate. If you get your body used to turning over nutrients quickly, because it thinks it needs it, then it’s going to do that even when you’re not going on a run, for instance. In the case of medicine or drugs, the differences often have to do with how quickly the body gets rid of that medicine. Since drugs aren’t used for making energy or building blocks, the body bags them for the trash and you’ve got to take another dose. Researchers are still working hard to understand the specific genetic differences that lead to different outcomes, and we have a lot more to learn.